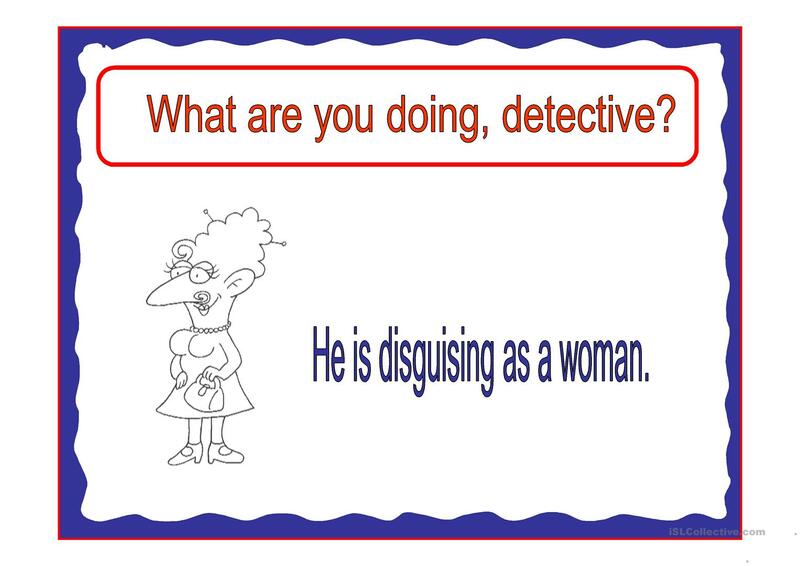 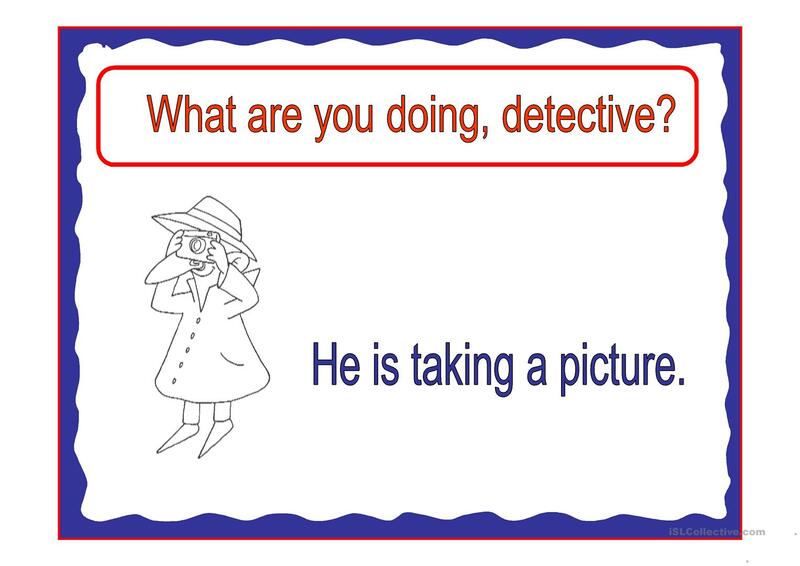 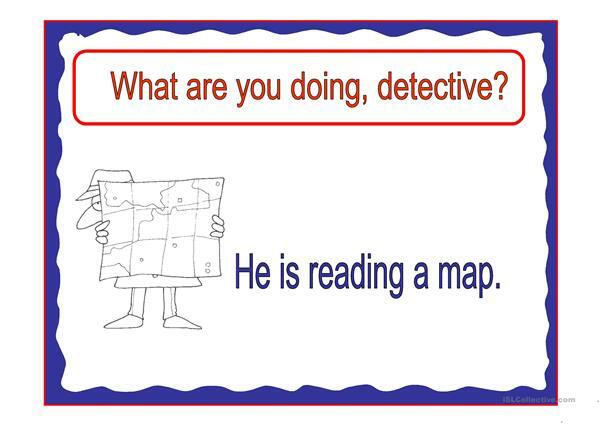 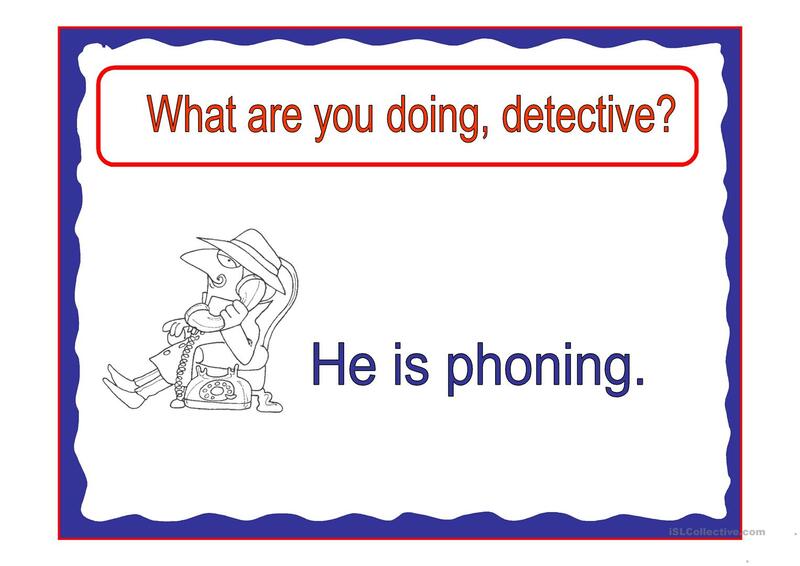 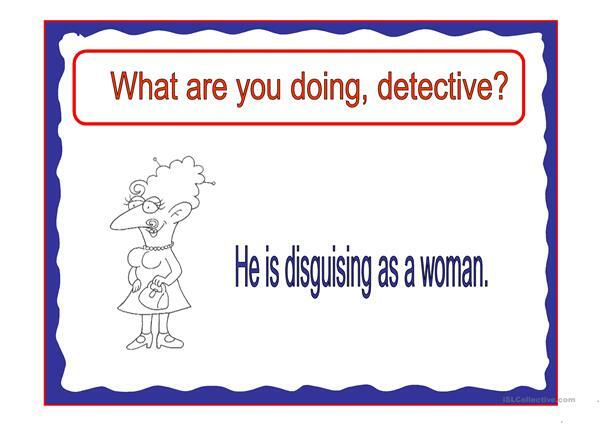 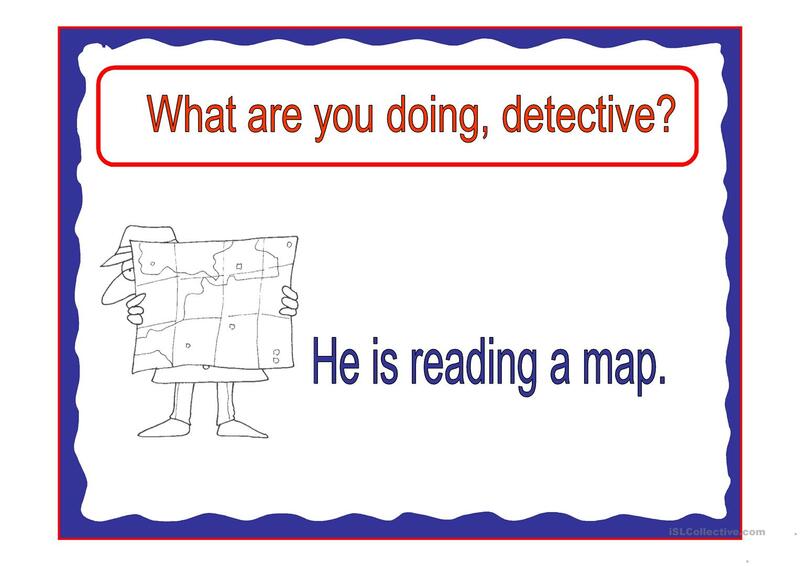 What are you doing, detective? The present printable, downloadable handout was created for high school students and elementary school students at Elementary (A1), Pre-intermediate (A2) and Intermediate (B1) level. It is great for consolidating Present continuous (progressive) tense in English, and can be used for working on your pupils' Speaking and Reading skills.